The supplies of lethal weapons from the United States took off this year. 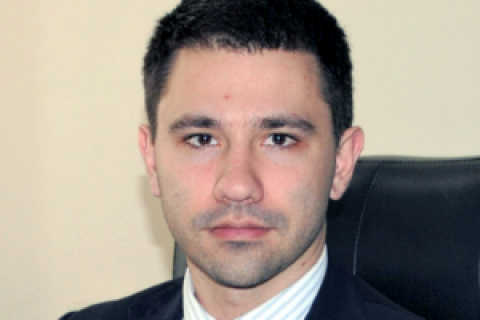 Five Eastern European countries are supplying lethal weapons to Ukraine, said the director of the state-owned company Spetstekhnoexport , which specializes in the trade in military technologies, Pavlo Barbul. "In particular, [automatic grenade launchers] VOG-17 and VOG-25, grenade ammunition, some artillery supplies – 100-mm and 152-mm – are those of of emergency. I will not name the country, quantity or price, but yes, we do import those," Barbul said on Radіo Liberty on 25 December. He noted that significant restrictions remain on foreign markets regarding the sale of lethal weapons to Ukraine. "The supply of lethal weapons to a warring country is subject to limitations. Some companies are unable to obtain licenses for the supply of such weapons for two years," said Barbul. He also confirmed that Ukraine has already received lethal weapons from the US – a butch of the PSRL-1 grenade launchers, which are a profound modernization of the Soviet RPG-7. On 23 December, US Secretary of State Rex Tillerson confirmed the US decision to provide Ukraine with lethal weapons. He called this step coupled with the strengthening of sanctions against Russia a worthy response to the continued occupation of Ukrainian territory. Three days prior, The Washington Post reported that Trump's administration approved the sale of lethal weapons to Ukraine worth 41.5 mn dollars. The newspaper wrote that Ukraine will be provided with self-loading heavy sniper rifles M107A1, ammunition, and accessories. Later, the US media reported that the $ 47 mn defence package will include 35 Javelin launchers and 210 anti-tank missiles.